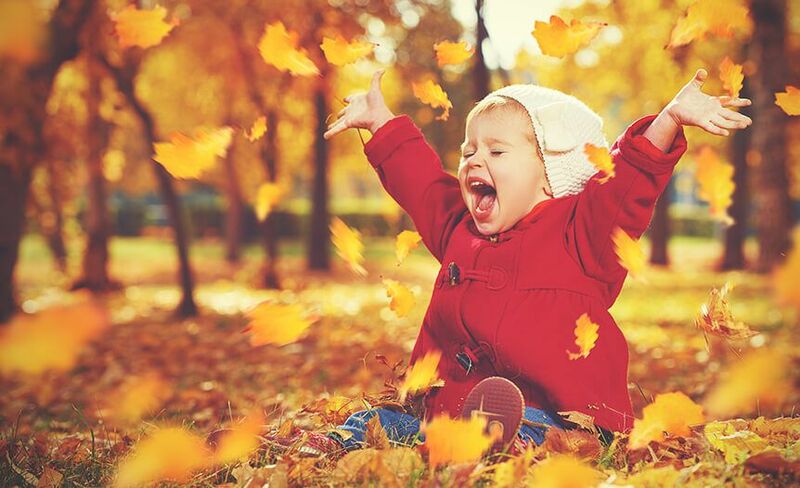 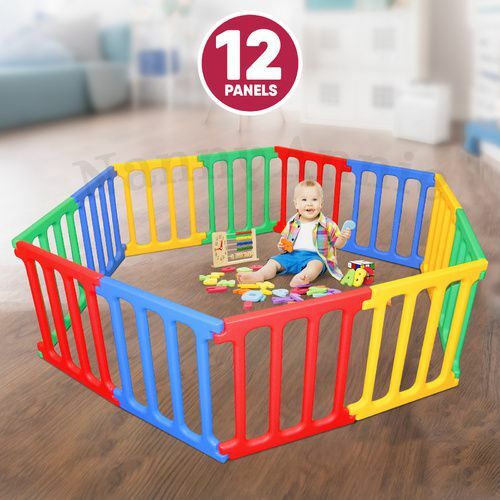 Lightweight and durable the Happy Panel playpen is an all-weather playpen that meets all Australian standards. 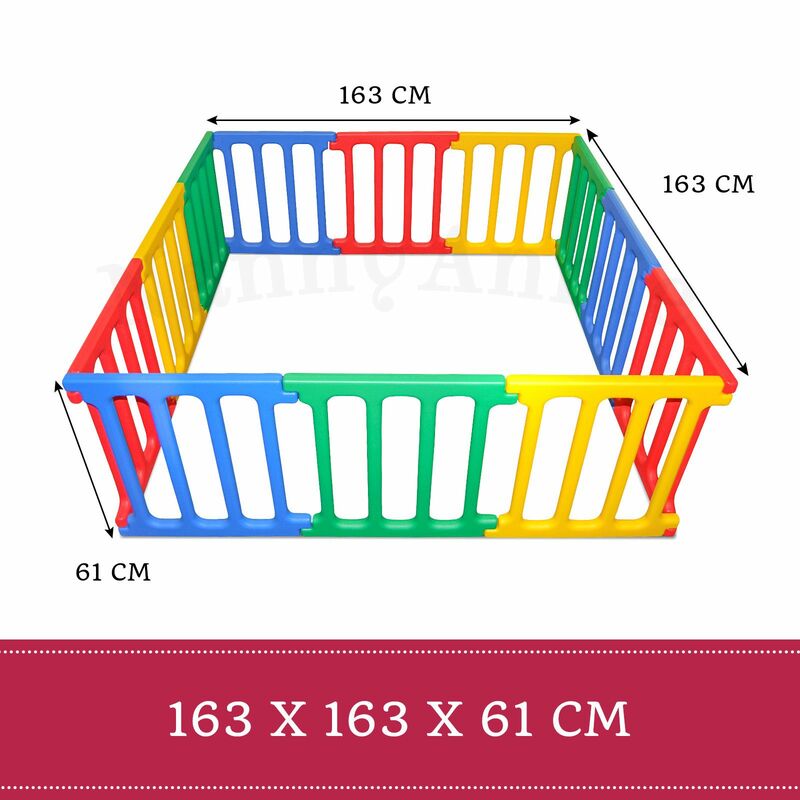 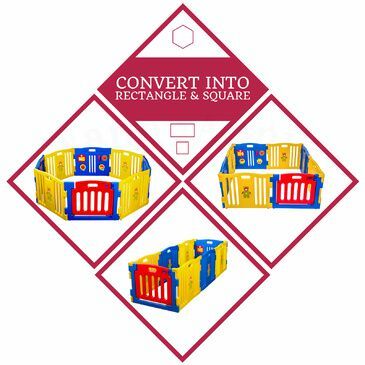 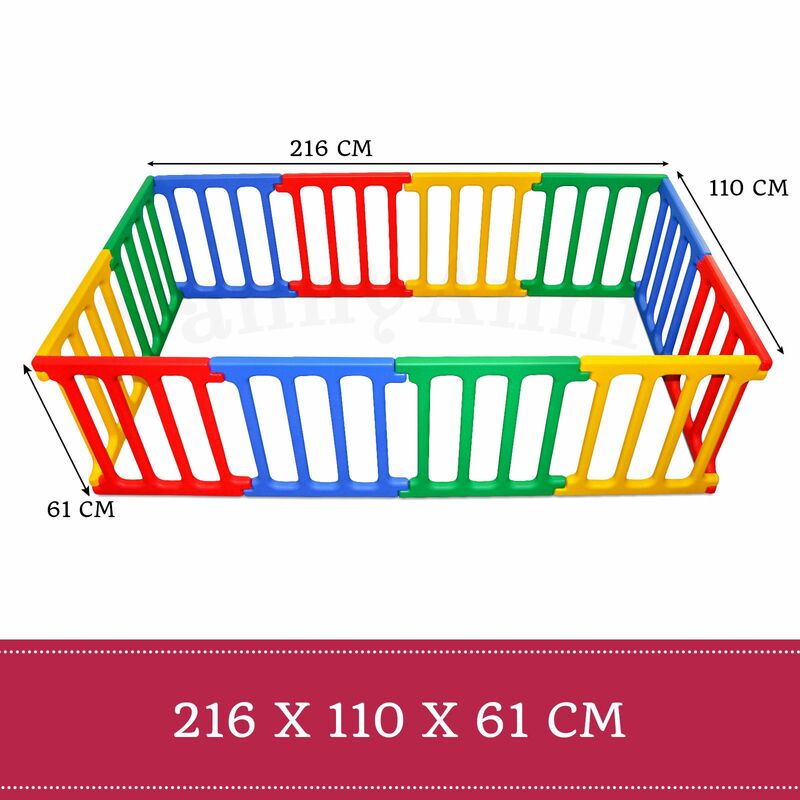 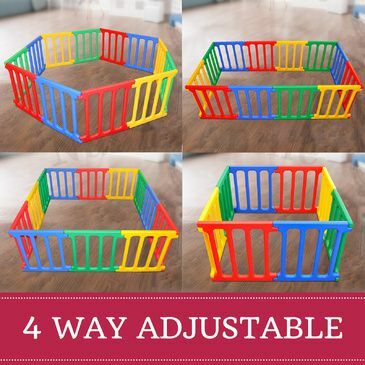 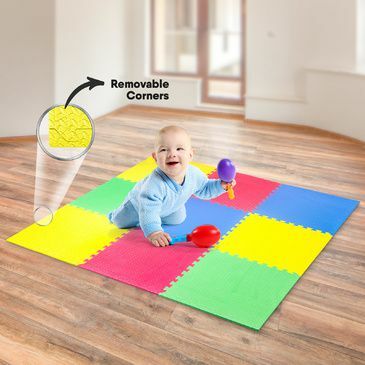 Extend your kids playpen and customise the shape by adding or removing panels. 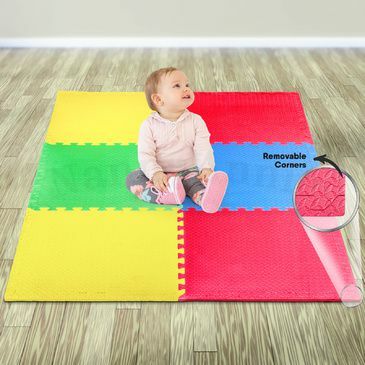 Lightweight and very durable, it can be used inside or outside and is easy to move and set up. 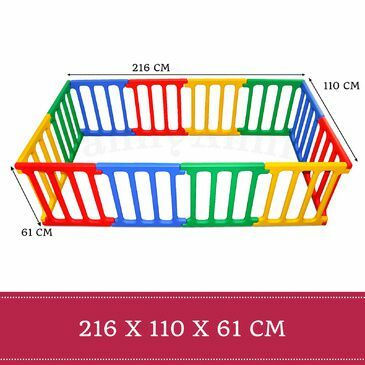 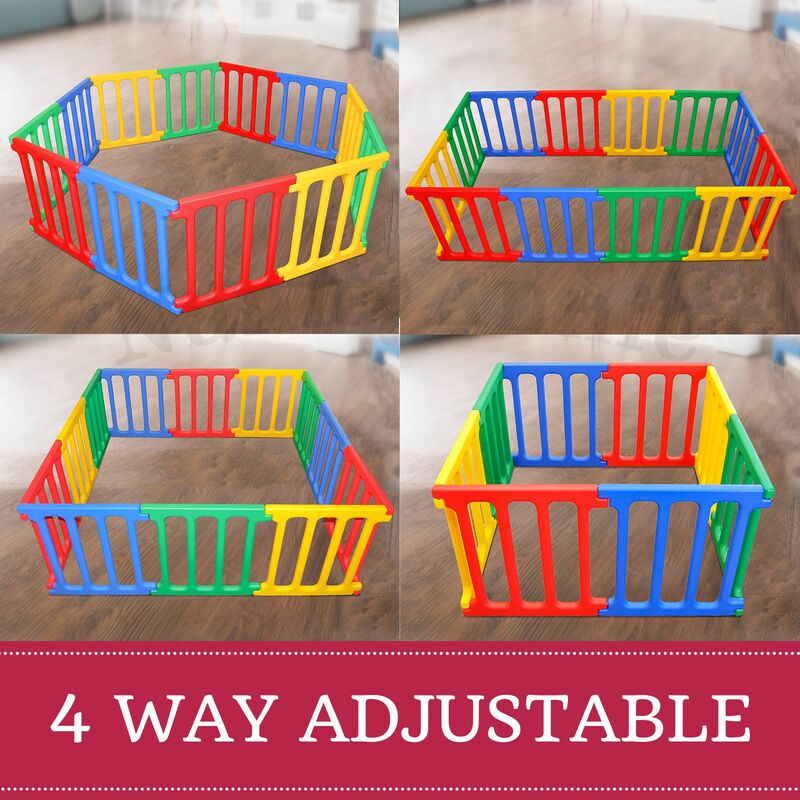 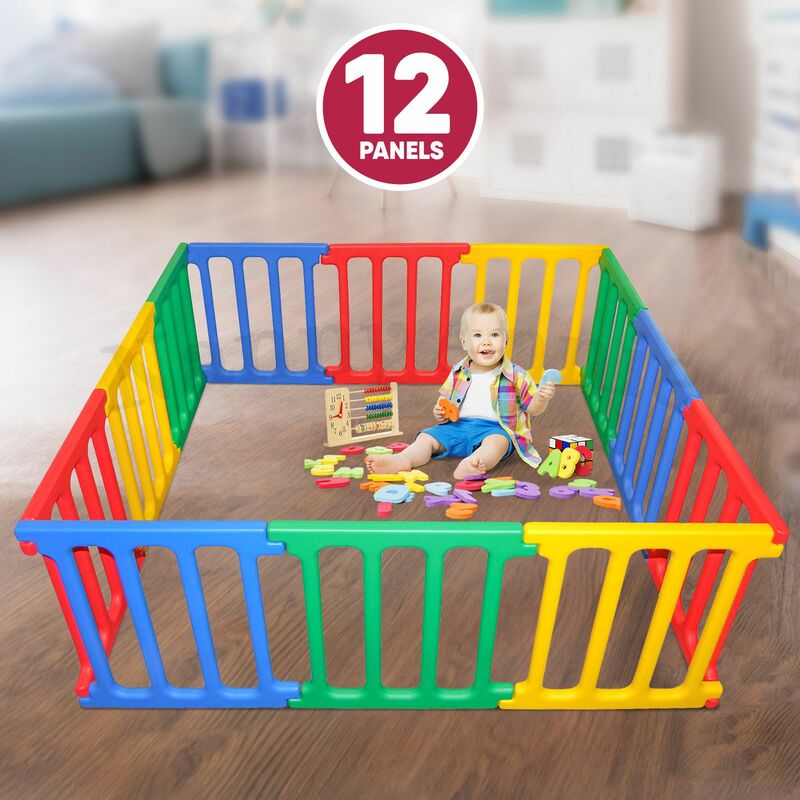 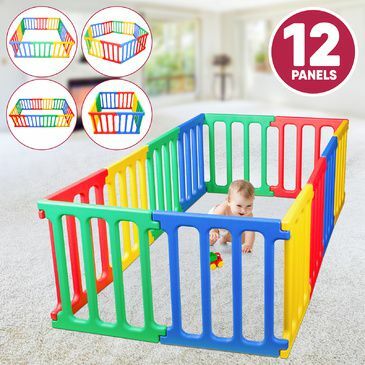 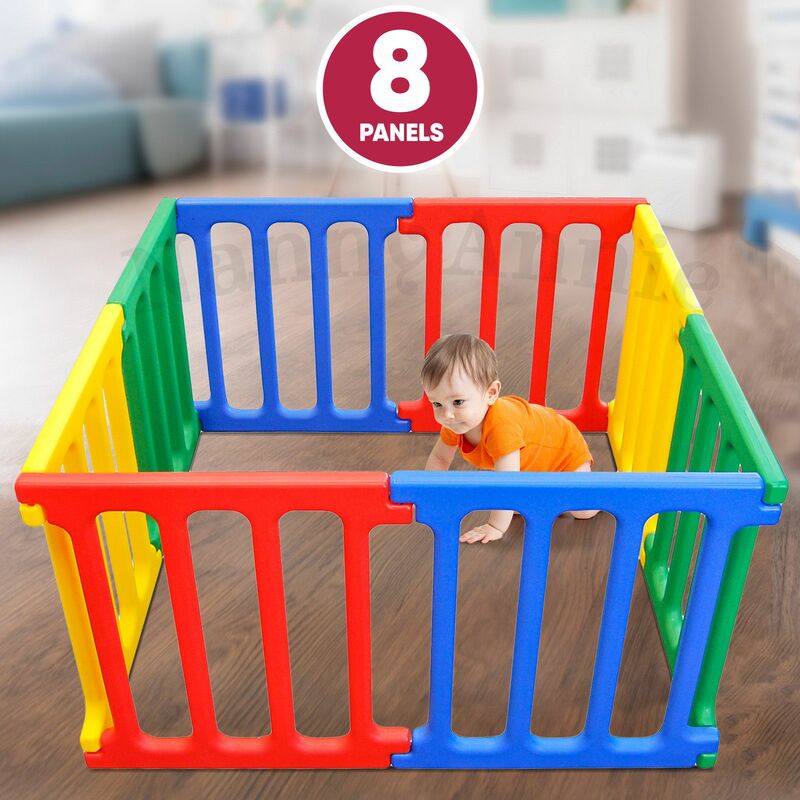 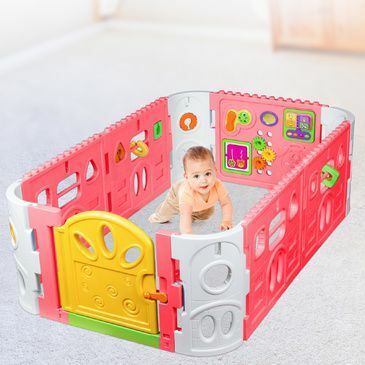 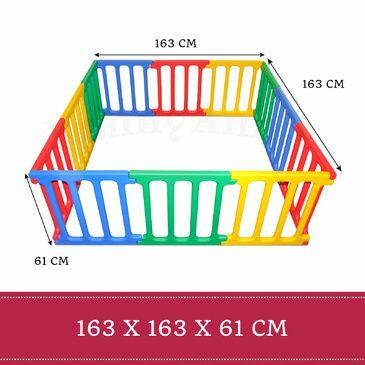 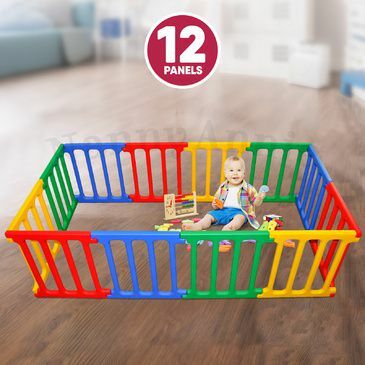 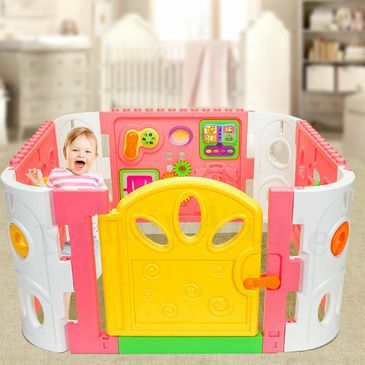 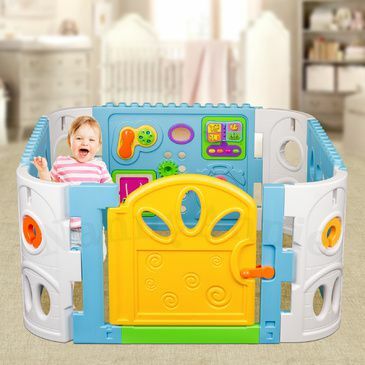 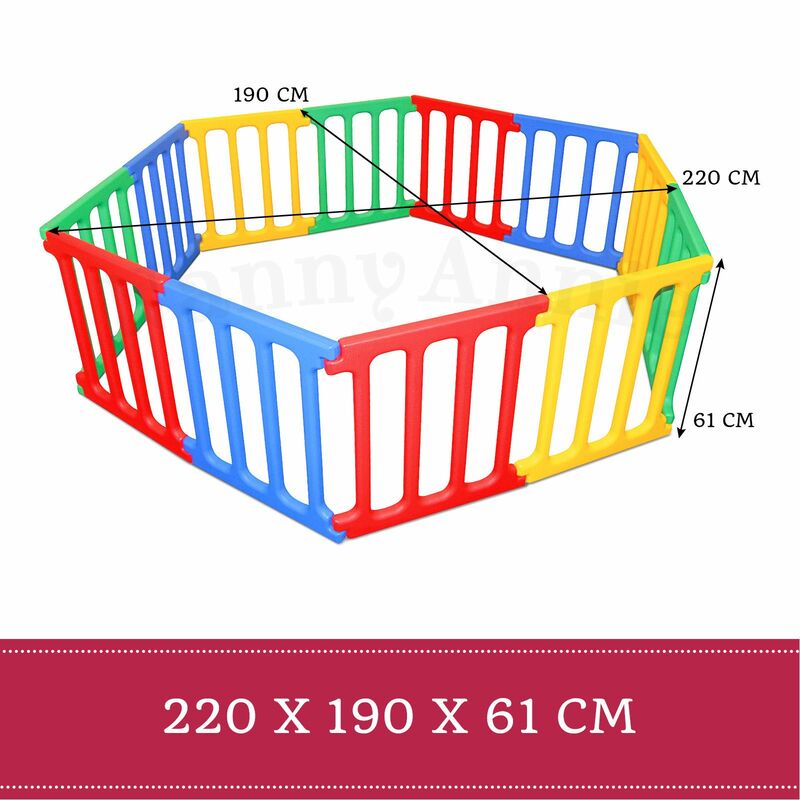 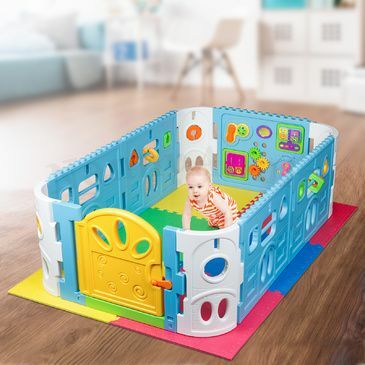 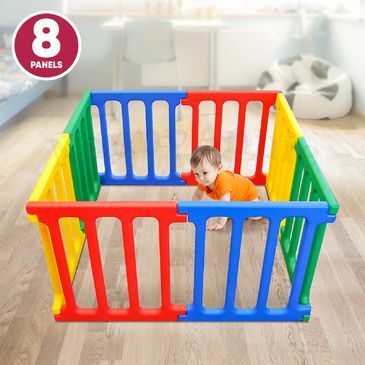 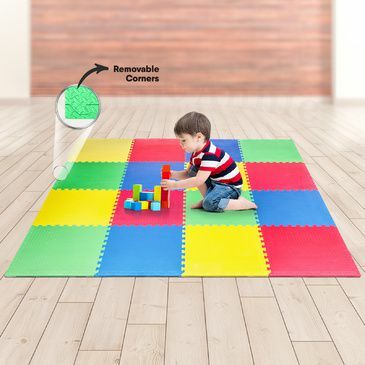 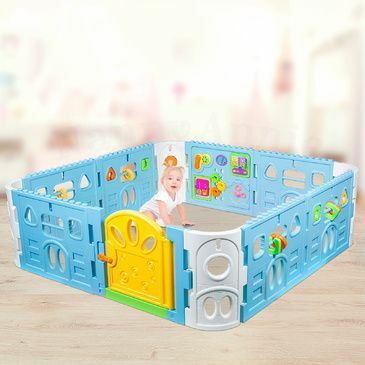 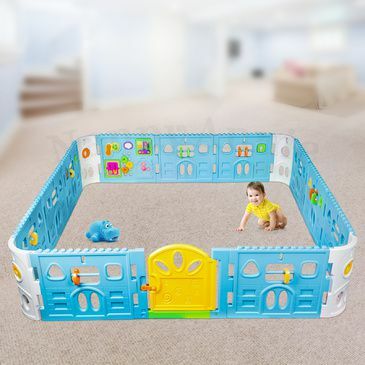 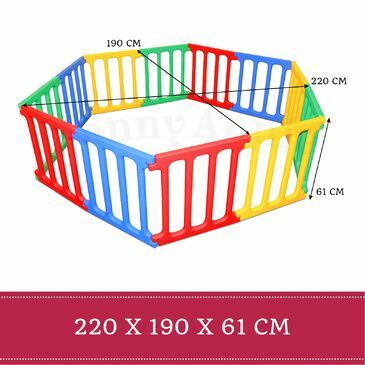 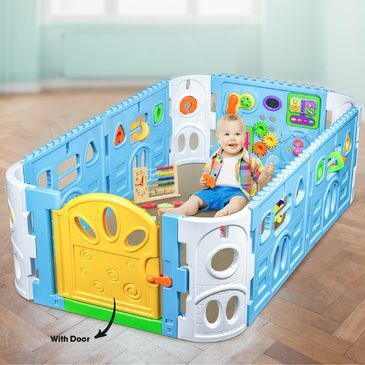 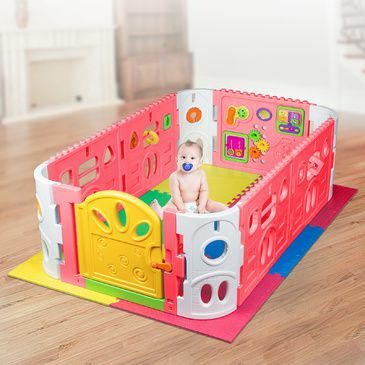 Each playpen panel is identical in shape so you can join two playpens into one giant playpen, or make any shape you choose. 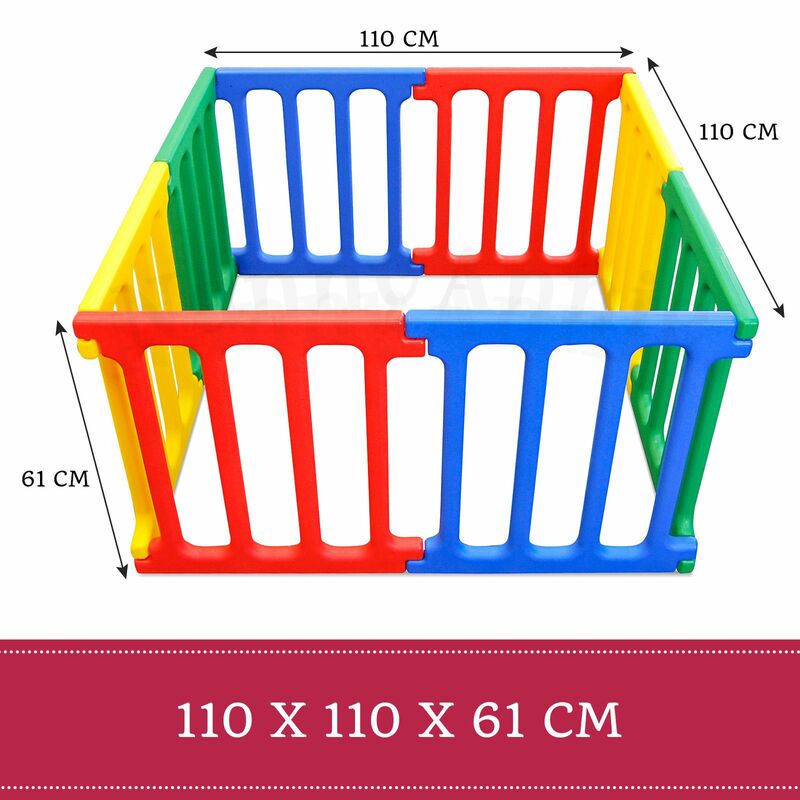 Each individual panel measures 57cm wide, 61cm tall, 4cm thick, and when joined together 1 panel adds approx. 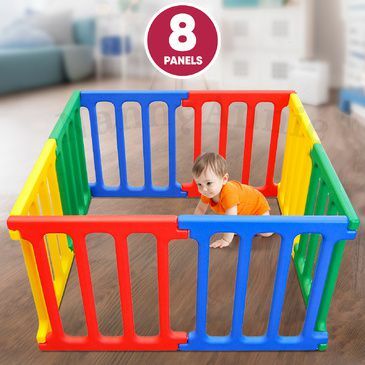 53cm to the side of the playpen.